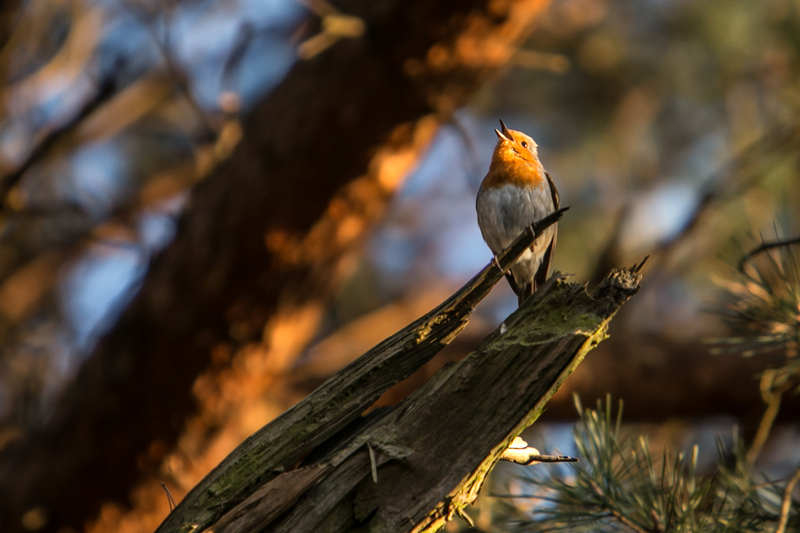 I photographed this singing robin while out walking in the surroundings of Bussum. I had some time to take several shots; the bird didn’t fly off until after a few minutes. It was the golden hour, the time when I go out cycling or running or walking. The sun color against the tree branch matches nicely with the bird’s color. I normally don’t post nature shots here, but it might be a nice change sometimes. It seems to work well enough on my Instagram, so I thought I’d post this shot on my site as well.